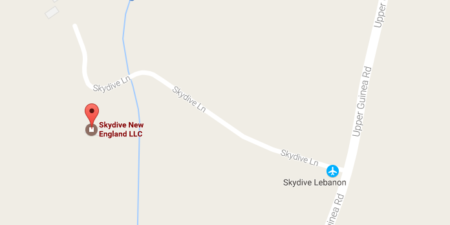 Do I need a reservation to skydive? Reservations are recommended, but walk-ins are always welcome. Scheduled students take priority over walk-ins, so it’s a good idea to call first to see if we will have time for walk-ins. Is there a minimum age requirement to make a skydive? You must be at least 18 years old. Parents cannot sign for jumpers under 18 years of age under any circumstances. We have no upper age limit. You are never too old to experience the thrill of skydiving! 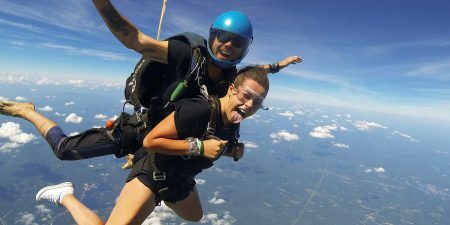 An 80th birthday is as good of a reason to skydive as an 18th birthday is! 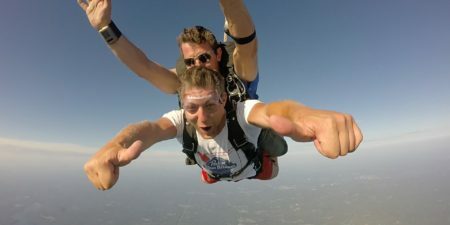 How far in advance should I schedule my skydive? We recommend scheduling about two to three days in advance. For groups, one to two weeks is best. You may call 1-800-UGO-JUMP for availability. We may have openings to jump today! How do I make a reservation to skydive? Just call us at 1-800-UGO-JUMP or online reservations are available 24 hours a day! What time can I skydive? We have scheduled classes seven days a week. Your reservation is for a class time and we will try to get you in the air as quickly as possible after class. However, variables such as weather, class size, aircraft etc. can affect what time your skydive will occur. Please plan on spending most of the day with us. On average, it can take about 4-5 hours from check-in to landing for a tandem skydive. There are no refunds for any reason. However, all deposits and payments are good for 2 years and are transferrable. In other words, if you cannot jump for any reason you can reschedule for another day or transfer your payment to anybody else who can jump. We ask that you give us at least 3 days to cancel or change a reservation. Canceling or rescheduling less than three (3) days before your class date will result in a $35 Administrative Fee. Please understand that our instructors have been scheduled to accommodate your reservation. What if it rains on the day of my jump? We don’t cancel class due to weather conditions, so you are welcome to come out and be trained. If the weather does not improve throughout the day and we’re unable to jump, you will be issued a raincheck that is good for 2 years. If you come back within the season, you do not have to take the tandem class again. Is there anything I need to bring for my skydive? On the day of your jump, bring your photo ID, comfortable clothes, closed-toe shoes, (we will provide a jumpsuit if necessary) and extra money for food, video, t-shirts, etc. Alcohol and skydiving do not mix. If we have reason to believe you are hungover or inebriated, you will be denied the right to skydive and will not receive a refund. Alcoholic beverages are not permitted at any location on the drop zone by anyone while skydiving is taking place – even if you are not jumping. I want to jump with my friend, can we both be on the same plane? Anywhere from 1 to 5 tandems may be on a plane. We cannot guarantee that any group will get to be on the same plane, but we will try our best! Please see the pricing table below. 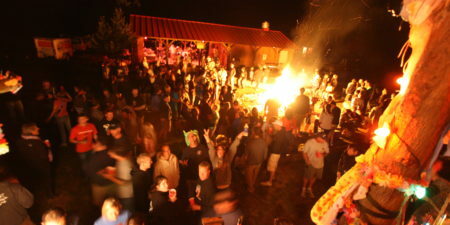 We can accommodate groups of up to 70+ people. For groups of 10 or more jumpers, please make reservations at least 2 weeks ahead of time. How safe is it to skydive? Skydiving is not without risk and can cause death. Statistically, the risks of skydiving have improved steadily as technology has advanced. In 2015, the United States Parachute Association (USPA) recorded 21 fatal skydiving accidents in the U.S. out of roughly 3.5 million jumps. That’s 0.006 fatalities per 1,000 jumps—among the lowest rate in the sport’s history! Tandem skydiving has an even better safety record, with 0.002 student fatalities per 1,000 tandem jumps over the past decade. According to the National Safety Council, a person is much more likely to be killed getting struck by lightning or stung by a bee. Safety is our #1 priority. All of our tandem and student systems are equipped with a computerized Automatic Activation Device (AAD) called a CYPRES (CYbernetic Parachute RElease System). Although it is the skydiver’s responsibility to deploy their parachute, the AAD is designed to activate the reserve parachute system. Also, all of our skydiving instructors have undergone rigorous training and national USPA certification. 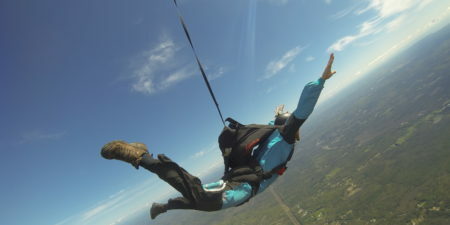 Skydive New England is proud to be a United States Parachute Association (USPA) Group Member dropzone. We strictly adhere to all Federal Aviation Administration (FAA) and USPA guidelines on safety. USPA keeps detailed safety records and is a great resource for further research. How many parachutes are in a parachute system? Two. All of our parachute systems are equipped with two parachutes – the main and the reserve (back-up). What kind of aircraft do you fly? 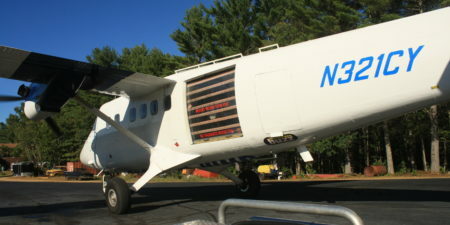 Skydive New England operates a 22 passenger Twin-Otter aircraft flying to 14,000 feet. During quieter weekdays, we may fly our Cessna 206 and/or Cessna 182. How fast do you fall? Once exiting the aircraft, typical speeds build to about 120mph. The rate of descent is about 1000 feet every six seconds. How long is the parachute ride? After an approximate 60 second free fall, time under parachute usually lasts 5 to 6 minutes. I'm worried about getting sick, should I not eat? 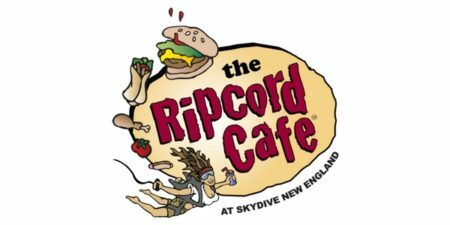 Getting sick on a skydive doesn’t happen often, but when it does, it’s usually with our guests who fail to eat a regular meal prior to arrival. Due to the surge of adrenaline, low blood sugar usually results in people feeling nauseated when under the parachute. For the best experience, eat a regular, healthy meal (don’t overeat) and be well hydrated. I have a head cold, should I jump? Jumping with any sinus pressure or a head cold is not recommended. 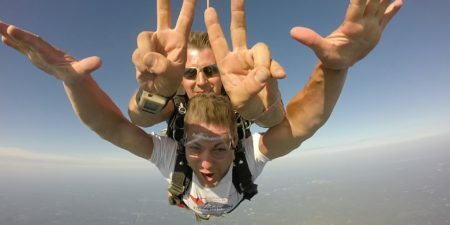 Due to pressure changes experienced during free fall, an individual jumping with a cold or sinus pressure will experience pain and has the potential to cause damage to the inner ear or sinuses. If experiencing a cold, please contact us to reschedule your skydive. What should I wear for my skydive? Wear comfortable clothing appropriate for spending the day outdoors. During cooler months, avoid wearing bulky clothing (heavy jackets), but instead wear layers for warmth. Proper footwear should be closed-toed shoes (no flip-flops) or anything that could potentially fall off during free fall. Cowboy boots are not recommended. Work or hiking boots are not recommended if they have hooks for the laces. Athletic shoes are the way to go. Be prepared to remove all jewelry. 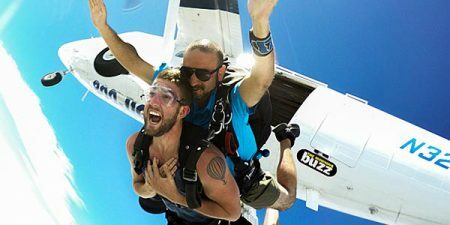 Wearing jewelry during the skydive is not recommended. Plan to remove jewellery before the skydive or just leave it at home before coming to the skydive center. If jumping with my friends on the same flight, will I be able to see them in free fall? No, you will not see other tandem jumpers in freefall. To ensure everyone’s safety, our instructors will only exit the plane after the previous skydiver is a safe distance away. However, while under canopy (parachute) you will be able to see other parachutes. Can I do my first skydive at night? No, you must be a certified skydiver to participate in night jumps or competitions. 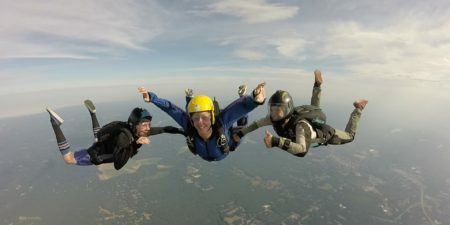 If I've never made a skydive before, does my first jump have to be a tandem? 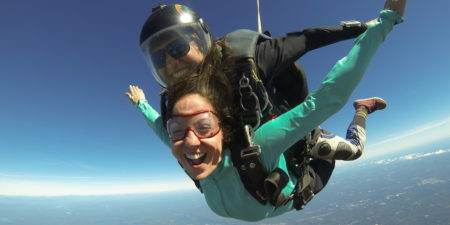 No, you do not have to do a tandem jump your first time. You may do an Accelerated Freefall jump course and jump solo your first time. See Accelerated Freefall for more details. Can I buy just the digital photos OR just the video? The videographer who will jump with you has both a digital and video camera attached to their helmet. Therefore, our media package includes both video and photos. Can my friend and I be on the same video? Only one person’s freefall will be on the video. It is not possible for a camera flyer to capture two tandem pairs due to exit separation (a safety procedure). However, footage and photography can usually be taken of groups on the ground, in the plane and after your jump. Just ask your camera flyer! Can I bring my own GoPro to film my skydive? No. Guests are welcome to bring cameras for shooting footage on the ground, but are not permitted to take cameras onboard the aircraft or during the skydive. The USPA does not permit any skydiver with less than 200 jumps to use a camera on a skydive. This policy is based on safety. Making a tandem skydive is not like riding a roller coaster; all of our guests will be actively participating during the skydive based on procedures taught during training. It is necessary for our guests to be focused on those procedures as opposed to trying to frame photos or posing for the camera. What a rush! This was the highlight of my time in New England. The team at SkyDive New England were amazing at making me feel relaxed (or as relaxed as you can be before you jump out of plane). Nestled in the heart of the NE region, the views are amazingly breath taking, and the service exceptional and efficient. 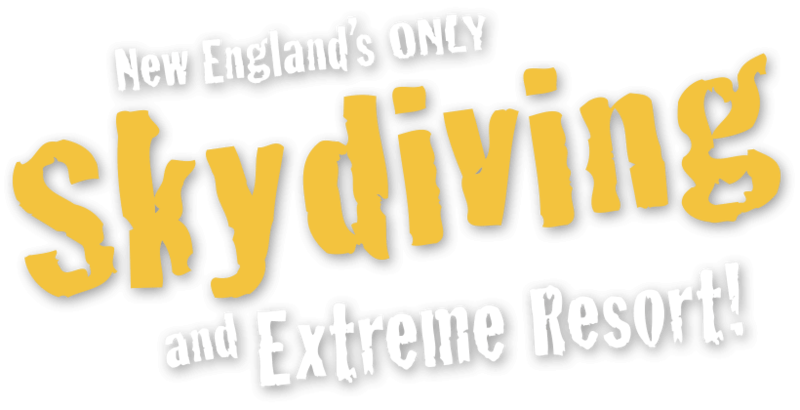 From a $$$ perspective SkyDive New England represents probably the best value for money of any skydiving company in the US. I felt that it was cheap for what i was getting and even had my jump filmed and edited. Thank you for the most amazing experience. I can say this without a doubt or reservation; this was indeed one of the best experiences of my life.